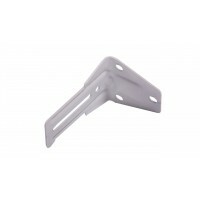 Additional Curtain Runners for Motorized Curtain Tracks, or Curtain Pulleys for Electric Curtain Tra..
L-shaped Wall Bracket for all HT100 series motorized curtains This wall bracket may be exclude.. This 3-meter (118") electric curtain tracks can cover windows up to 3.1 meters wide. With easy insta.. 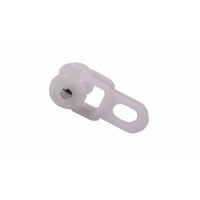 This 2-meter (80") electric curtain tracks can cover windows up to 2.1 meters wide. 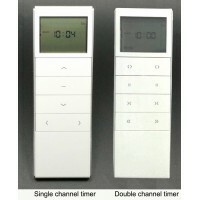 With easy instal..
Electric Blind Curtain track 7 day timer Features:No wiring requiredSingle Gang size wall mount.. 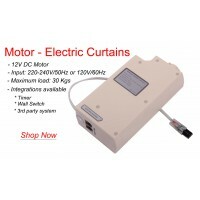 This 4-meter (157") electric curtain tracks can cover windows up to 4.1 meters wide. With easy insta.. 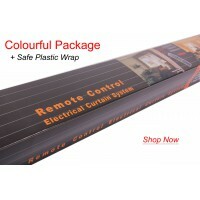 This 5-meter (197") electric curtain tracks can cover windows up to 5.1 meters wide. With easy insta..